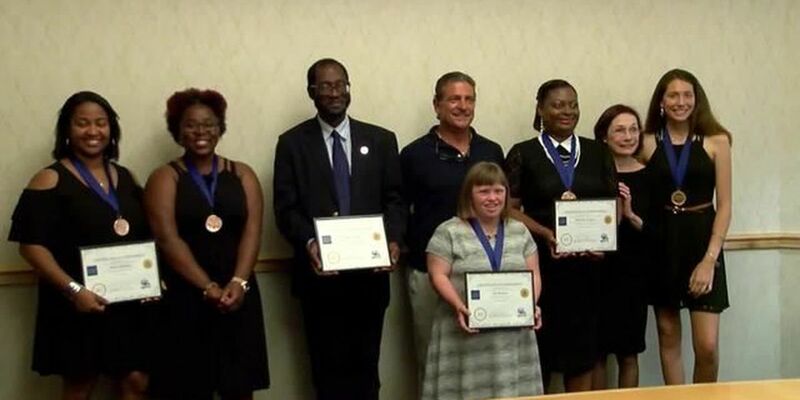 Five Jefferson Award winners were honored during a reception ceremony at FOX 29's studios Tuesday. The winners were chosen for outstanding volunteer work in the community. Among them, a teenage girl who volunteers at a dog rescue, two mentoring programs for at risk teens and for those with disabilities. The top winner, Rhonda Rogers, will go to Washington, D.C. to meet with winners across the country. Rogers helps run Prime Time Palm Beach County, a non-profit that helps after-school and summer programs.